Dubai: When Richard Lee Norris does recover completely, he might consider buying thank-you cards for five special people — the group of doctors who worked tirelessly for 36-hours to give him his life back. 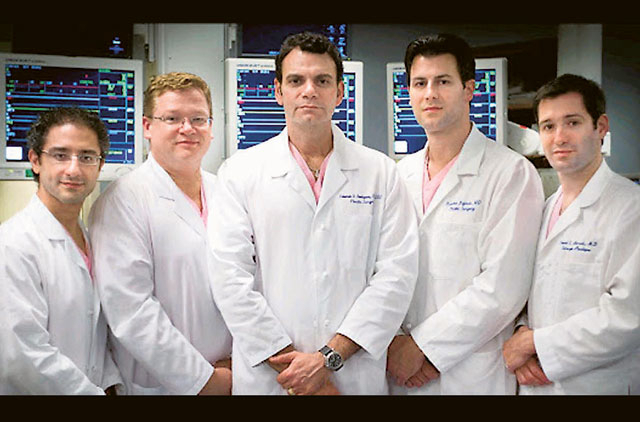 The marathon surgery — that has ensured Dr Eduardo D. Rodriguez and his team a page in medical history — was conducted at the University of Maryland Medical Centre's shock trauma unit. The operation was the Baltimore hospital's first full-face transplant. It involved, besides Dr Rodriguez, an eclectic group of plastic and reconstructive surgeons, and more than 150 nurses and professional staff. "A project like the face transplant requires multi-disciplinary collaboration between numerous clinical services and in many ways is very similar to trauma care," Thomas M. Scalea, director, Programme in Trauma, University of Maryland School of Medicine, and physician-in-chief, R Adams Cowley Shock Trauma Centre, said. Norris was 22 when he was injured in 1997 in a gun accident. He first approached the centre in 2005 to discuss reconstructive surgery options with Dr Rodriguez and went on to have 12 surgeries just to restore basic functionality to his face. It helped that he never gave up. Neither did his doctors. What ensued were innumerable team meetings, conference calls and practice on cadavers — practice that was eventually put to test during the surgery on March 19 and 20. "Everything went off without a hitch. It was just a beautiful event," Dr Rodriguez told Gulf News. He added that post-surgery, his team is now more confident of helping other people, like Norris, through intricate reconstructive surgery. "Our solid organ transplant immunosuppressive protocol has led to excellent outcomes for our patients and will be part of the long-term care plan for Norris as well," Stephen T. Bartlett, surgeon-in-chief at the University of Maryland Medical Centre, said. Norris is expected to remain in the hospital for a month and under observation, in Baltimore, for another three months. "For someone who has lived behind a mask, if you call it living, he has his life back. He's a strong man again," Dr Rodriguez said.